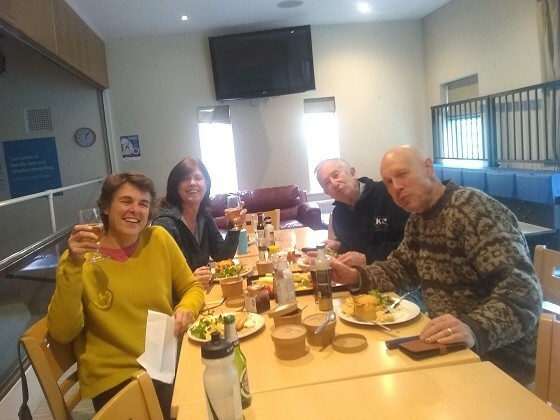 Social squashers Alison and Roger Barton, Vicki Watterson and Chris Terrell tucking in to post-squash pies on Monday lunchtime. Pic by Mick. Just another quick reminder for all members that Monday social squash sessions have now resumed with bar service and international cuisine (and err, cooking) by Mick Adams. The fee is a mere £2 for squash only, £7 to play including a pie and pint.